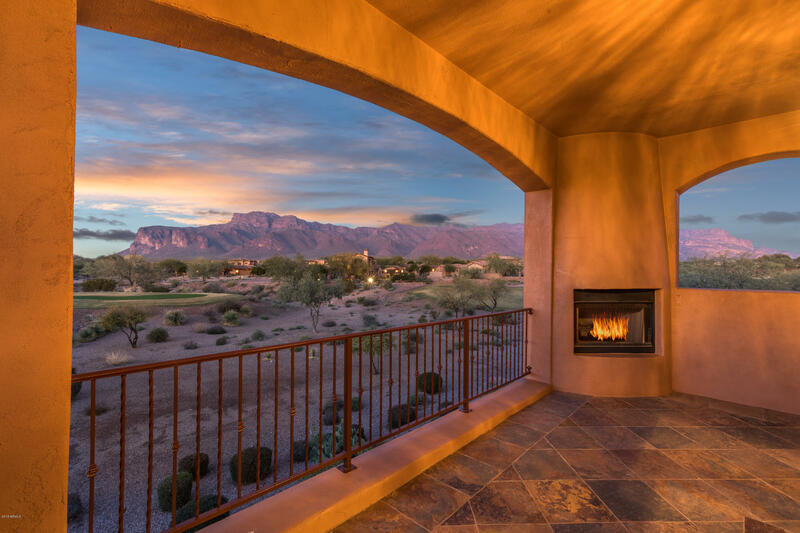 VIEWS don't get any better than this. 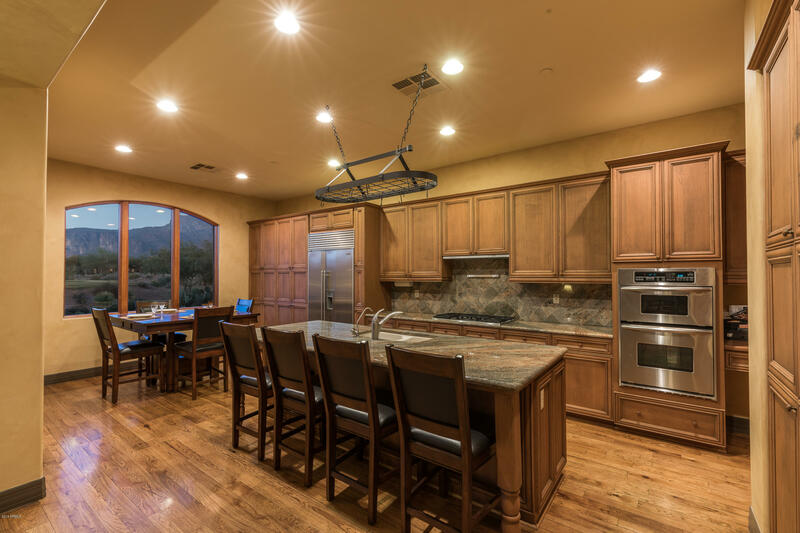 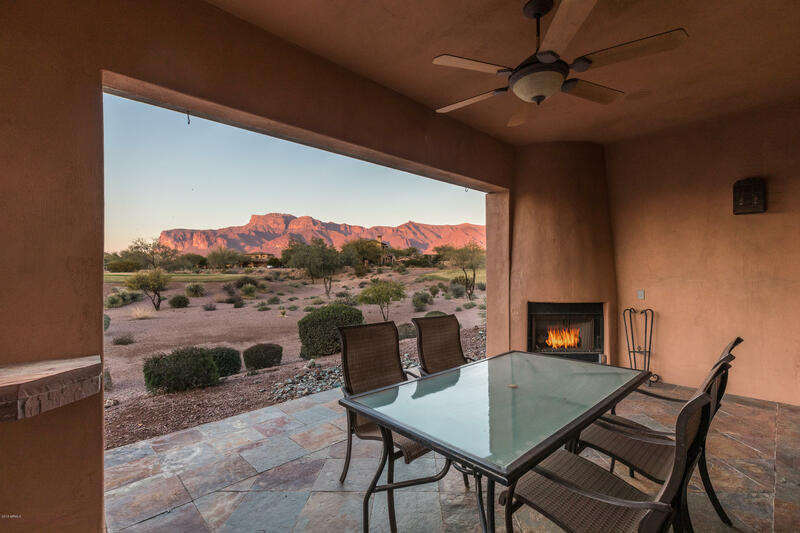 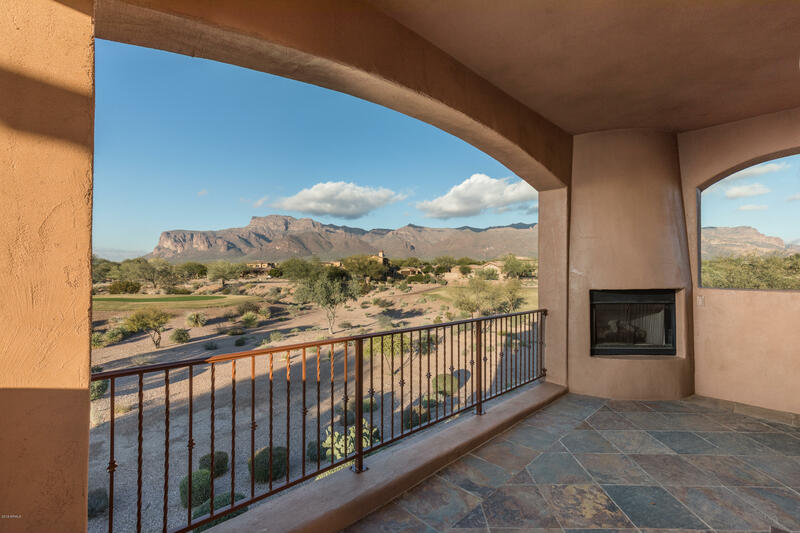 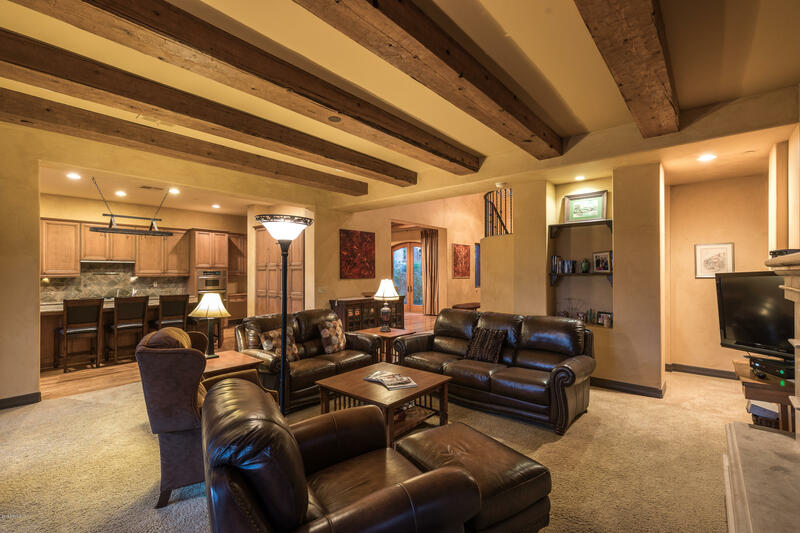 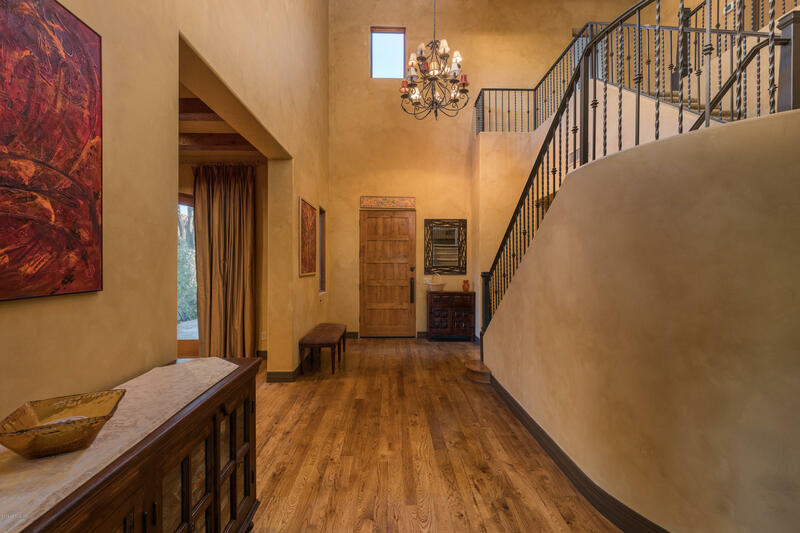 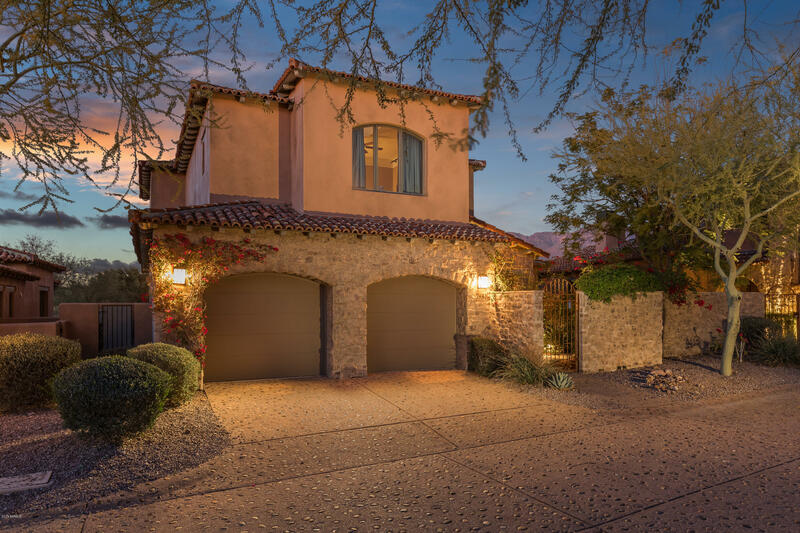 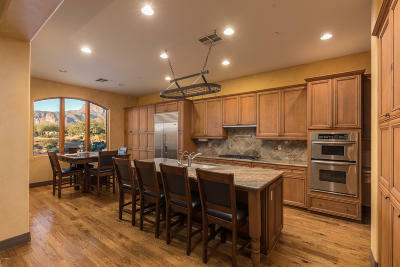 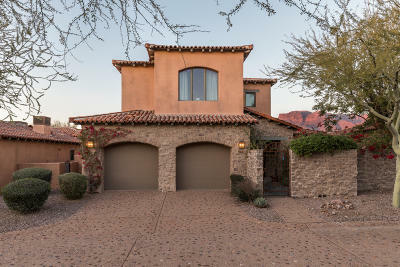 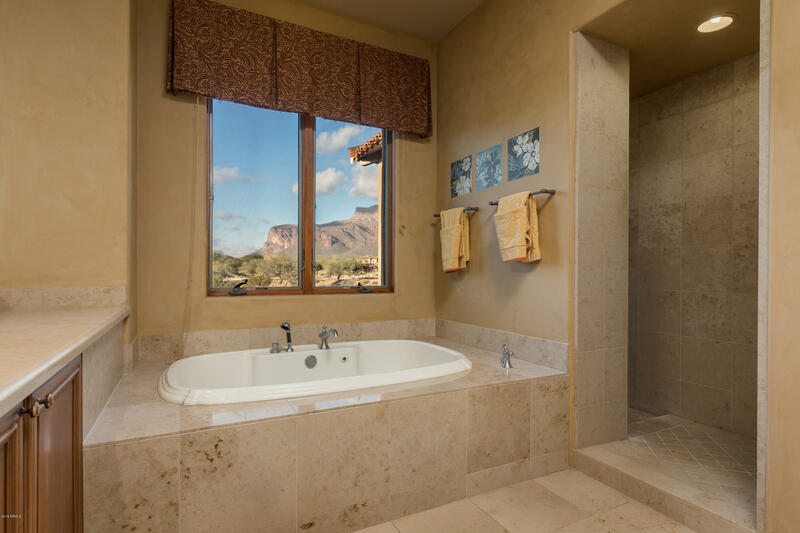 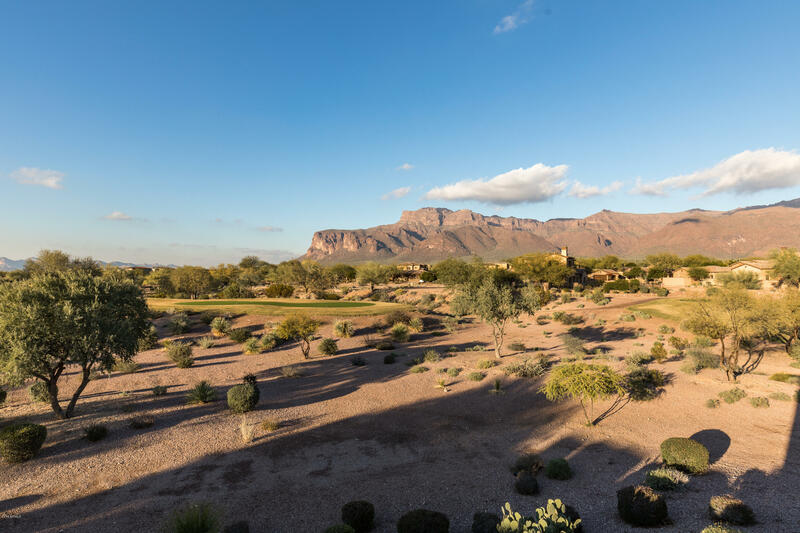 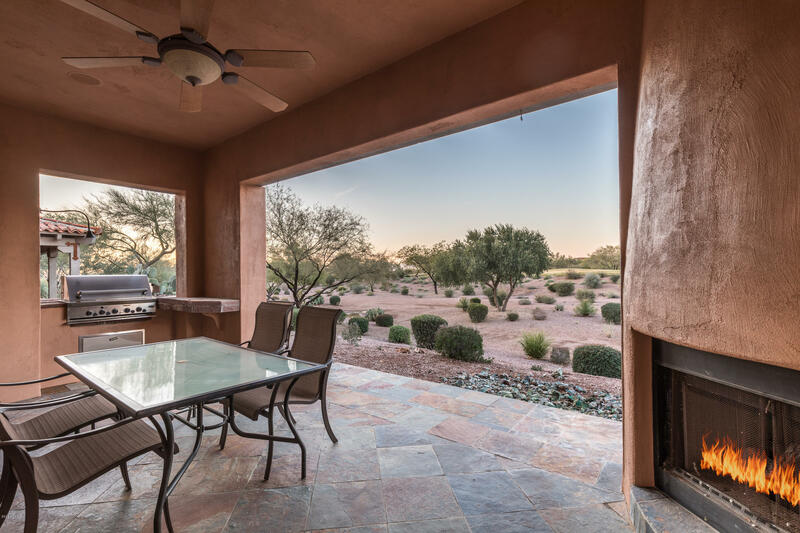 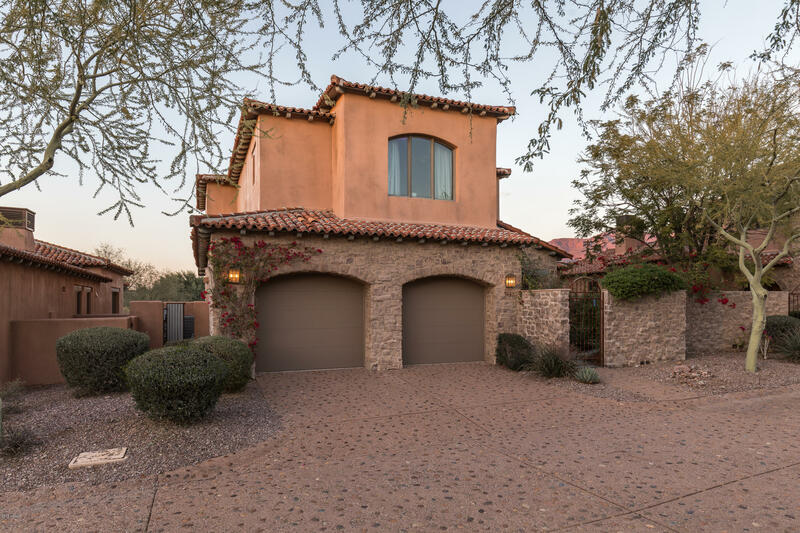 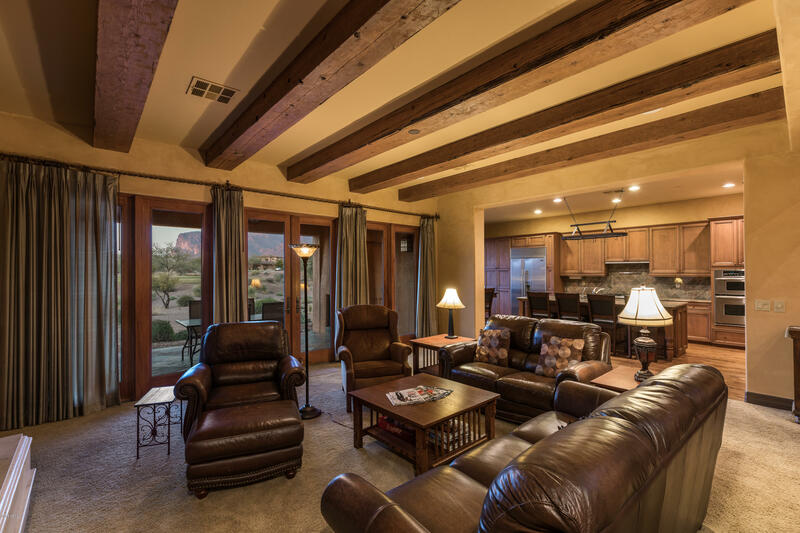 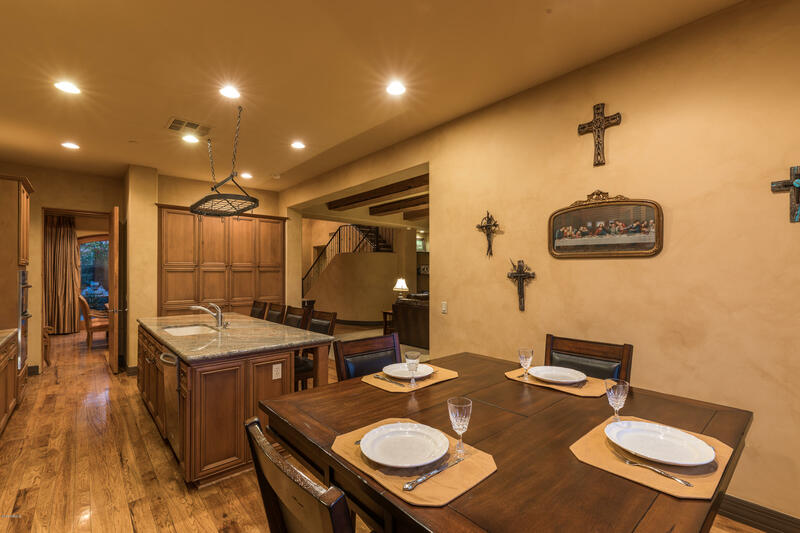 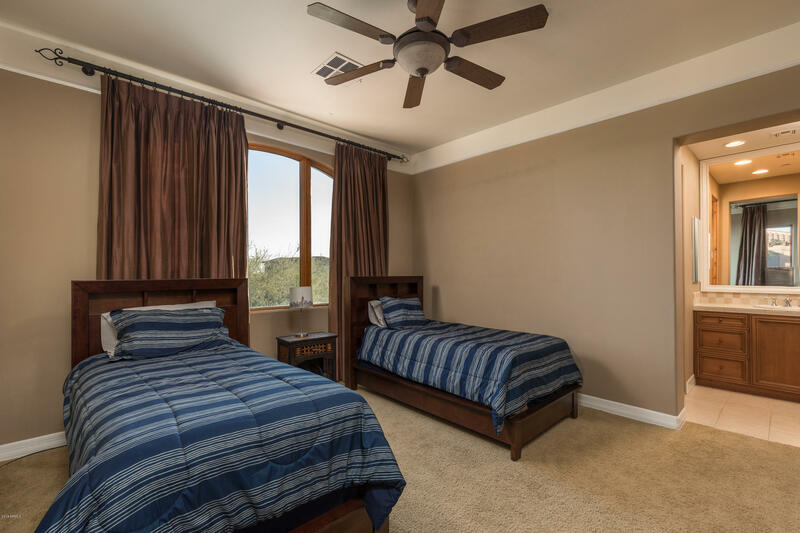 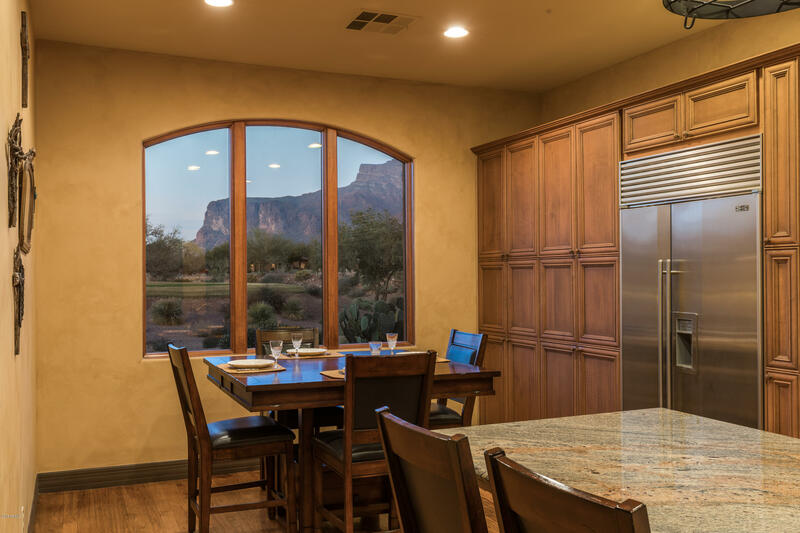 Well appointed villa on the 9th fairway of the Prospector Golf Course with gorgeous views of SUPERSTITION MOUNTAIN. 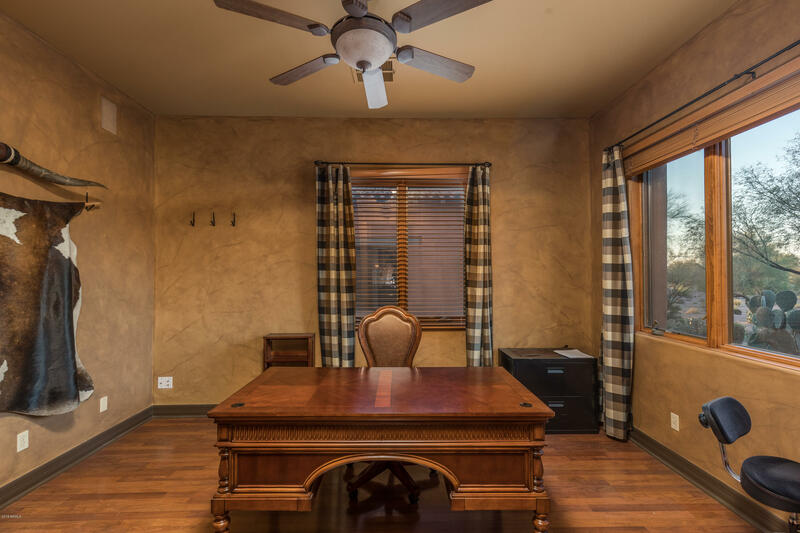 Three bedroom, three bath with a separate office/den. 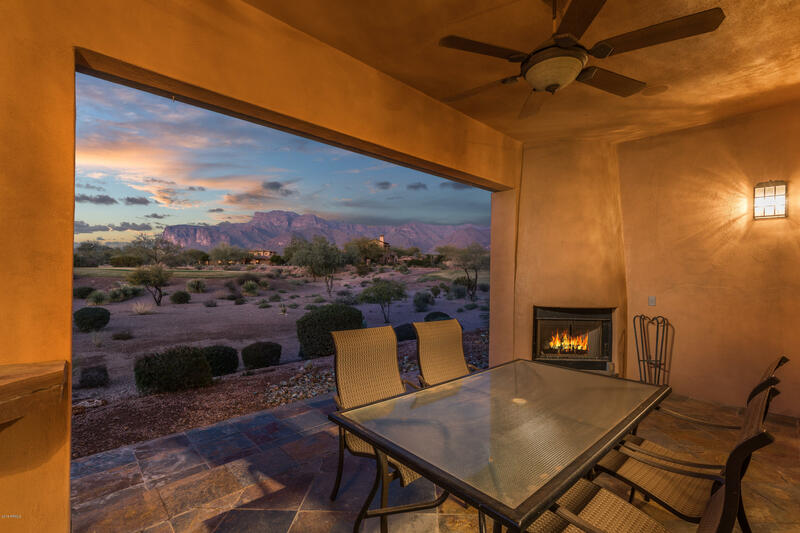 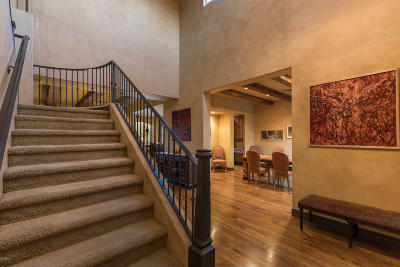 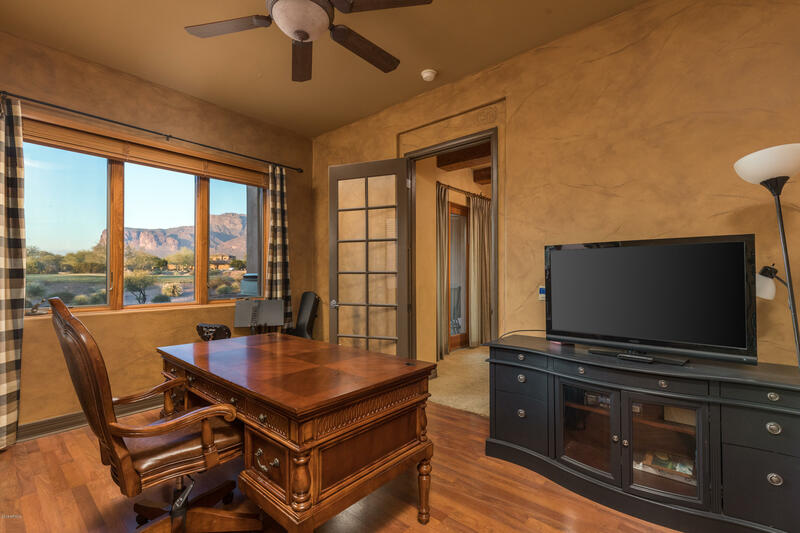 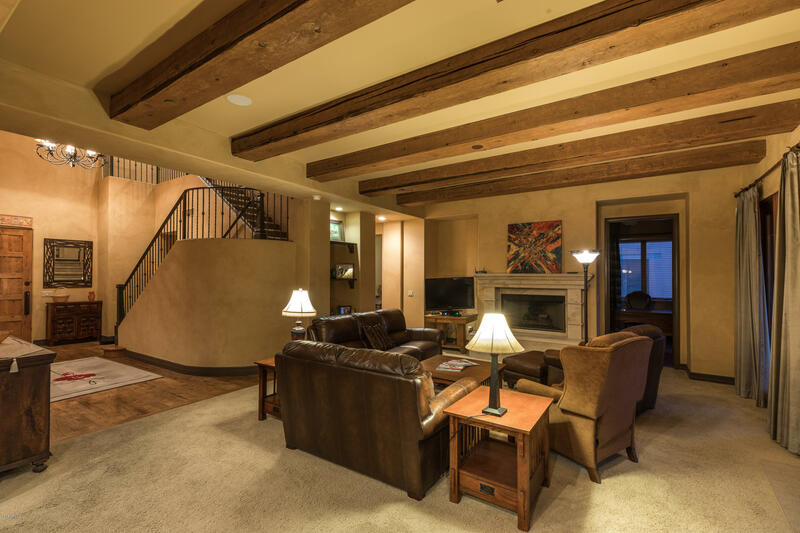 Upstairs master has its own private patio with fireplace facing the mountain. 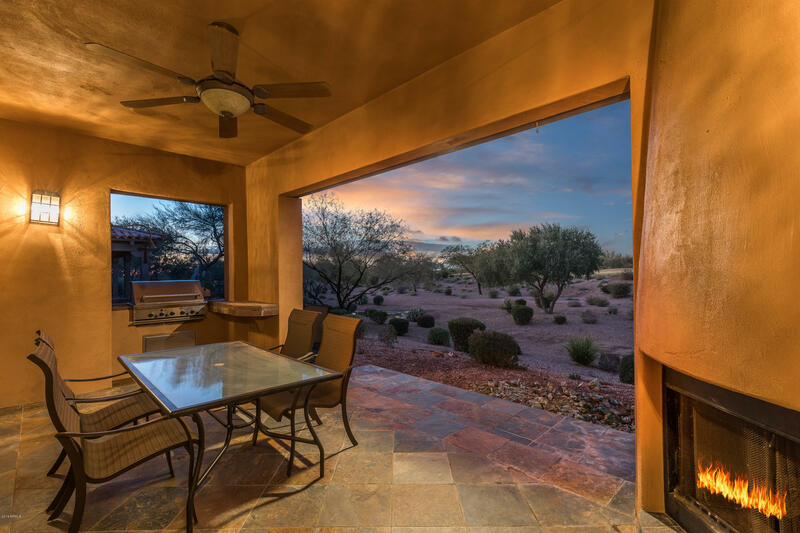 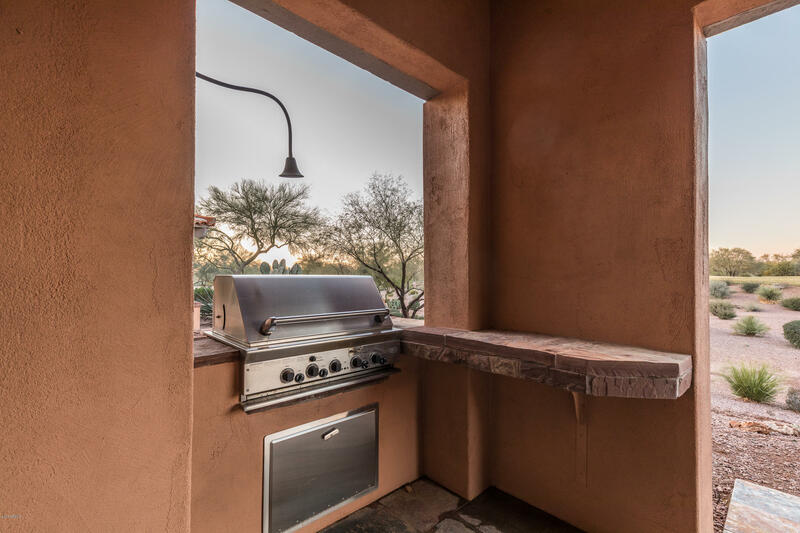 Watch the golfers go by on the first level patio with fireplace. 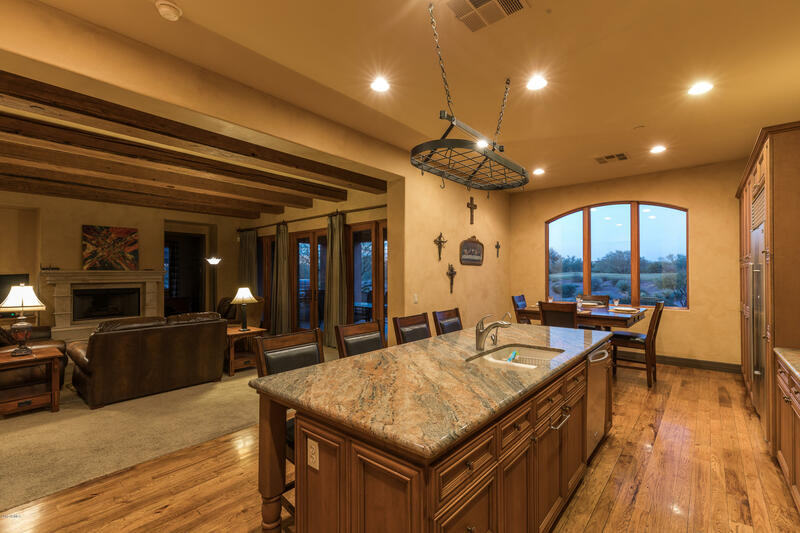 Granite counter tops, eat in kitchen, open great room/kitchen layout. 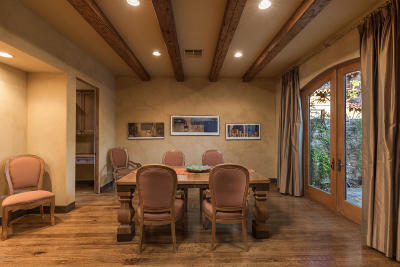 Separate dining area. 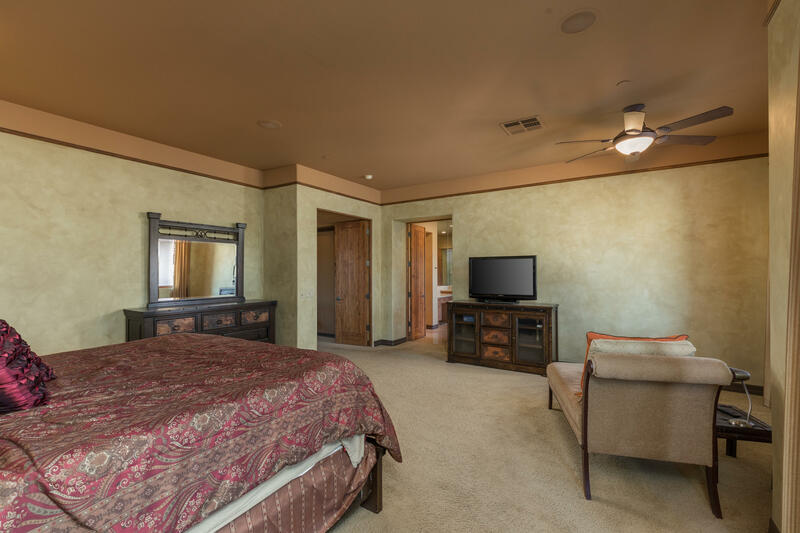 MAKE SURE YOU SEE THE VIRTUAL TOUR! 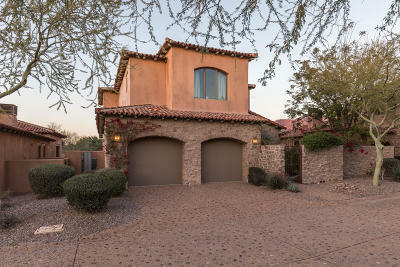 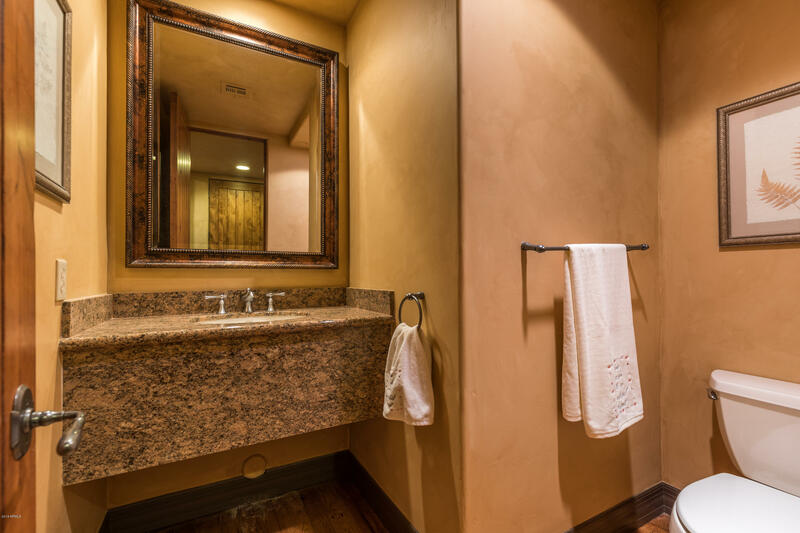 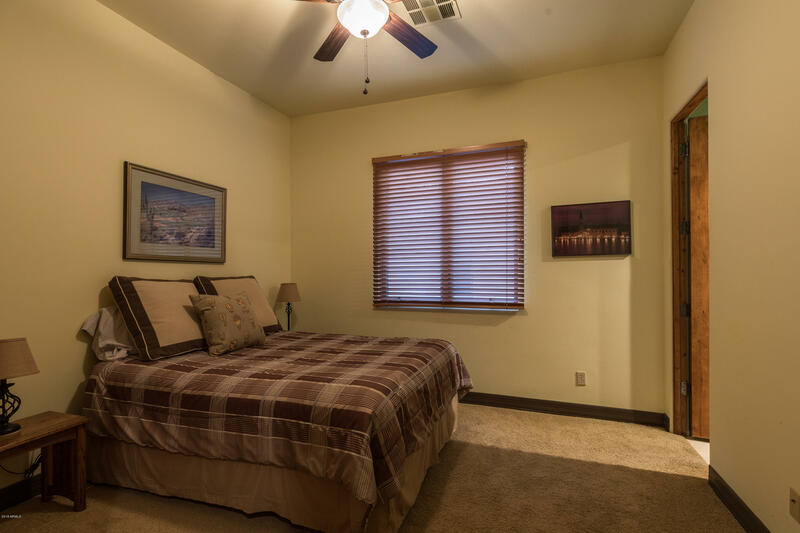 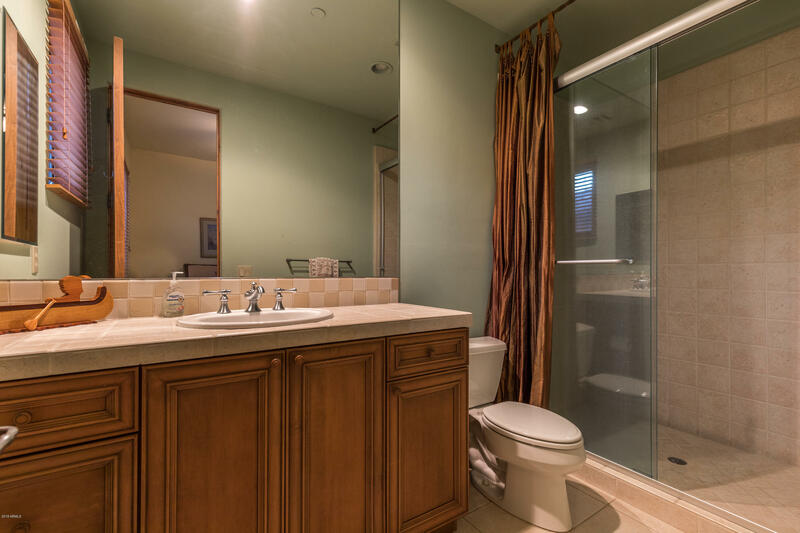 Twenty minutes to Gateway and 35 minutes to Phoenix Sky Harbor airports. 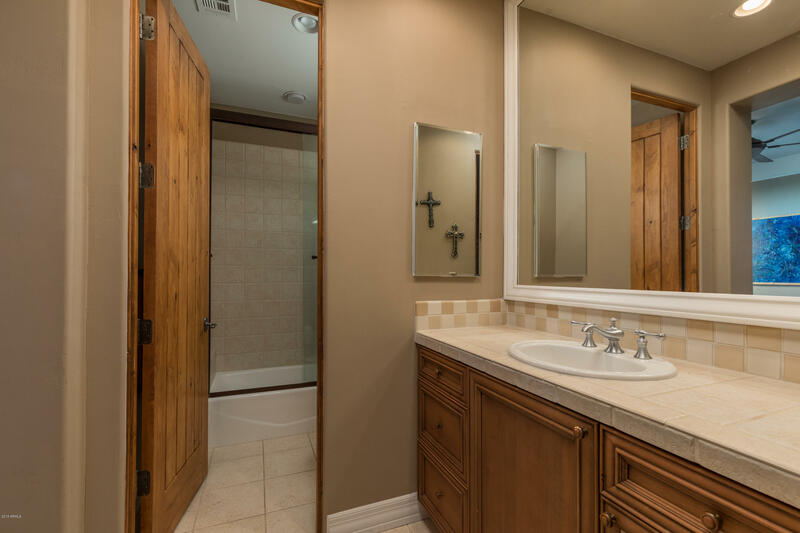 Pertinent information including square footage to be verified by the buyer. Golf membership and club amenities under separate agreement.